Relax In a Very Spacious, Modern, Comfortable , Safe and Secure Environment!Situated at the corner of Ela Makana and Lawes Road, close to most Diplomatic Residences, City center , Supermarkets, The Yacht Club and Aviat Club, Ela Beach and Hotel, Crowne Plaza Hotel and Sea View Chinese Restaurant. 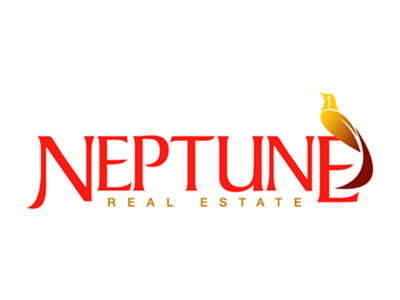 Has easy main road access and quick access to the Proporena Freeway. 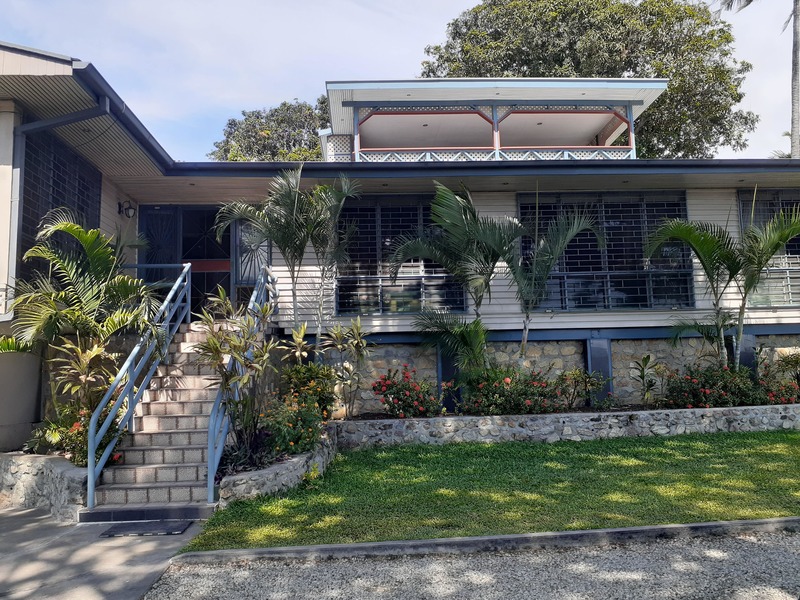 This very spacious house comes with excellent Sea Views due to its position at the very top of Lawes Road.The property has a total land area of approximately 1800 square meters with ample free land area for further development. The land area has well terraced gardens regularly maintained by an in house gardener who also looks after the gardens outside the perimeters of the house as well. The land area is safe guarded by a series of underground agricultural drains which ensure all surface and underground water is not allowed to stagnate but is channeled away from the property. 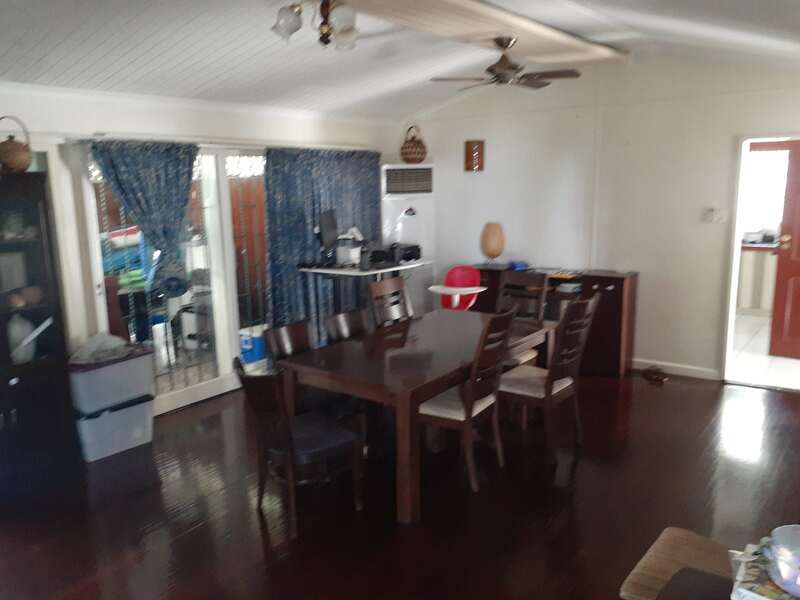 The property is well fenced with double razor wire protection and has a modern alarm system with 8 movement sensors with sensors on all doors and windows and also has panic stations inside the house along with remote panic buttons for carry purposes. The security system is constantly monitored by G4S Security. The property is also protected by an 8 camera programmable CCTV night vision camera surveillance system which gives you instant views all around the house at any time. It is also fully fire protected with smoke detectors in all areas of the house wired directly into the alarm system, it has fire extinguishers and fire blankets at all critical areas and a large external fire hose attached to the mains water supply, it also has a series of fire balls positioned underneath the house to protect the wooden floors from surfacefire’s . The property has an excellent security lighting system with the combination of powerful spot lights and a down light system. 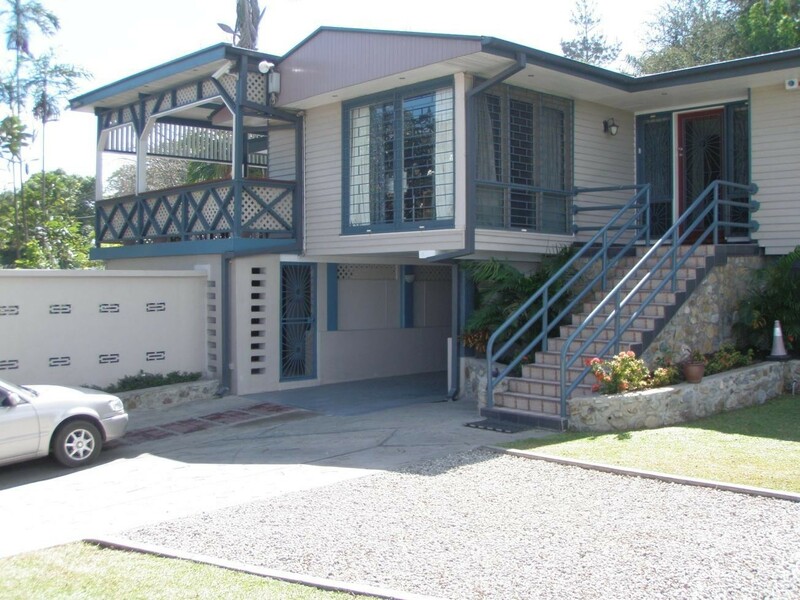 The property is tastefully furnished with modern furniture with all white goods and is fully air conditioned . The property has 3 barbecues and two 300 liter solar hot water systems. It also has an 1 mb per second wireless ADSL link for internet and email, that can be accessed from all around the property including the swimming pool and roof top balcony. It also has provision for 5 telephone lines with two separate telephone lines and numbers now operational currently one is being used for telephone and the other is being used for fax.The main features and improvements of the property are given below :Main house has 5 bedrooms, and 2 large living rooms and a home theater area with large tiled kitchen and 3 tiled luxury bathrooms.Large veranda with private bar, dinner area and barbecue overlooking the pool and with very good sea views.Large outside barbecue and entertainment area leading to the pool.Large new tiled pool with saltwater chlorinator and adjoining covered pergola with seating for 15 people approx.Grass terraced children’s play area with multiple swings.Large well designed roof top balcony with furniture and relaxing chairs with own barbecue, bar fridge and with excellent sea views and breeze.Spacious fully renovated self contained boy house at the back of the house capable of housing 3-4 people. Has security fence with razor wire around boy house and main house.New 24 Kva silent gen-set, setup inside a fortified gen-set house.A four man open coffee balcony with sea views and power and night lights on top of gen-set house.Has a self contained modern gymnasium with new multi gym and others Has a modern sauna/Jacuzzi area with a powered hot water Jacuzzi.Large naturally lit up fish pond in front of the house for nature lovers.Very Spacious well terraced garden area with drive way capable of holding 20 + cars . 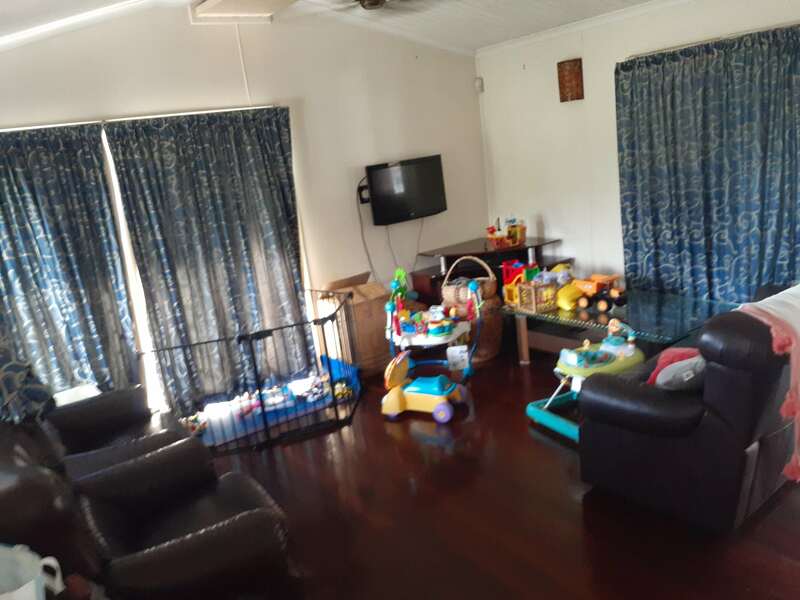 Has own private car park for two cars.Has ample storage area underneath the house.The property is safe guarded by a semi see through reinforced electric gate.